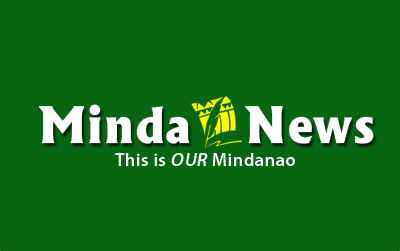 MARAWI CITY (MindaNews / 28 October) — Home at last. A total of 6,469 displaced families from nine villages outside Ground Zero here will finally come home after five months, starting Sunday, October 29. As announced by Social Welfare regional director Zorahayda Taha during the press briefing on October 25, residents in Barangay Basak Malutlut will return home on October 29; in barangays Marawi Poblacion and East Bask on Oct. 30; Loksadato and Green on Oct. 31, Matampay and Tampilong on November 1; and Datu Saber and Panggao Saduc on November 2. Basak Malutlut is where the first shots were fired on May 23, when government forces attempted to serve a warrant of arrest on Abu Sayyaf leader and alleged Emir of the Islamic State in Southeast Asia, Isnilon Hapilon. 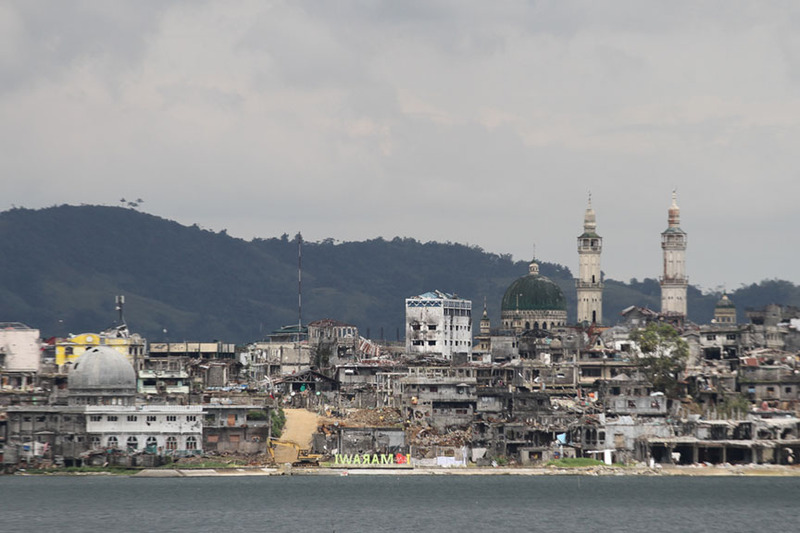 Soonafter, men in black, some carrying the black ISIS flags were seen taking control of vital areas in downtown Marawi, set free prisoners at the City Jail and set on fire Dansalan Colleges, St. Mary’s Cathedral and neighboring areas. President Rodrigo Duterte, then visiting Russia, declared in all of Mindanao’s 27 provinces and 33 cities effective 10 p.m. (in the Philippines) following clashes between government forces and the Maute Group that left two soldiers and a police officer dead, and 12 others injured. A total of 77,175 families or 353,626 persons were displaced by the armed conflict in Marawi and neighboring towns, based on the Disaster Assistance Family Access Cards. Of this number, Marawi Mayor Majul Gandamra said around 40,000 families in Marawi – or around 200,000 — were displaced. Marawi’s population as of 2015, according to the Philippine Statistics Authority was estimated at 201,785. Gandamra said the country’s lone Islamic City, before the war, had around 210,000. Daytime population, however, is several thousands more as Marawi City is the trading center of the province of Lanao del Sur. The Marawi Crisis began at around 2 p.m. on May 23, a Tuesday. The displaced residents, according to the family access cards, fled to at least nine regions in the country, six of them in Mindanao, most of them in neighboring Iligan and Cagayan de Oro cities and other towns in Northern Mindanao. Each returning family will be given a sack of rice, relief goods good for 18 days and cash for work for 30 days, Acting Social Welfare Secretary Emmanuel Leyco announced in a press briefing at the Provincial Capitol on Oct. 25. 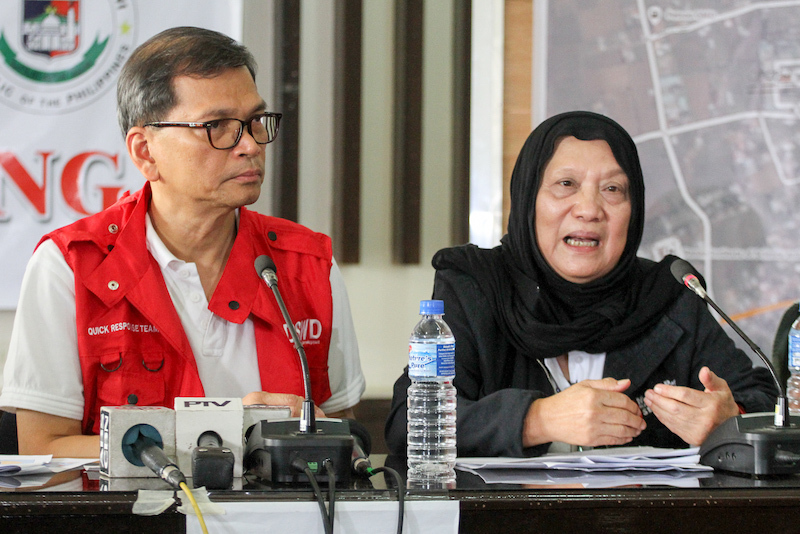 Taha, DSWD Region 12 Director of the DSWD and focal person for Marawi said returning families will also be given the balance of the P5,000 assistance that President Rodrigo Duterte promised evacuees on June 20 when they return to Marawi. Each evacuee family was supposed to receive P1,000 for Eid’l Fitr and the remaining P4,000 on their return to Marawi. Taha said those who did not receive P1,000 for Eid’l Fitr will receive the total of P5,000. 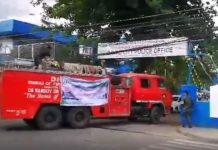 According to the Technical Working Group on the IDP Return to Marawi, the return of Marawi residents who fled to evacuation centers or are “home-based” – those who sought refuge in relatives’ houses or rented houses in the cities or towns where they have temporarily sought shelter – will be done by phases. Baicon Macaraya, facilitator of the series of consultation workshops of the Technical Working Group that crafted the IDP Return Plan of Marawi City, posted a series of notes on Facebook addressing frequently asked questions about the process of return, such as requirements needed to return home, how barangays are categorized or prioritized and why the return has to be phased. She also stressed “no payment shall be asked from the IDP to facilitate their return,” apparently following rumors circulating about facilitation fees being asked for residents who want to return home. “Meaning, all that you have to worry is to pack your things and be ready to be home! Good luck Basak Malutlut!” Macaraya wrote. Marawi has a total of 96 barangays. The TWG’s initial list of cleared barangays in six clusters has 52 barangays in six clusters, the first cluster, consisting of nine barangays, will be the first to return home on October 29 to November 2. Cluster 2 consists of 14 barangays: Fort, Bangon, Bubonga Marawi, Raya Saduc, Saduc Proper, Lilod Saduc, Bacolod Chico, Toros, Lumbaca Toros, Tuca, Pindolonan, Dayawan, Amito Marantao and Poona Marantao. Cluster 4 has five: Papandayan Caniogan, Papandayan, Pantaon, Mipantao Gadongan and Gadongan. Cluster 6 consists of Bubong Cadayonan, Tongantongan, Timbangalan, Caloocan East, Caloocan West, Wawalayan Caloocan and Cadayonan 1. 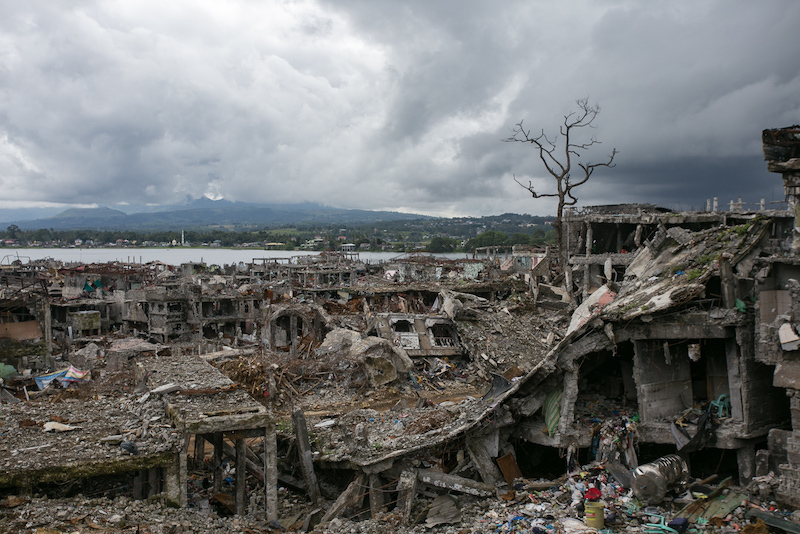 Once barangays are cleared by the military, barangays will undertake Brigada Marawi or clean-up of the area; restore governance, includingthe organization, training and deployment of the Barangay Peacekeeping Action Team, and restoration of basic facilities such as light, water, etc. 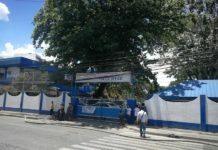 While other government agencies are building transitional shelters, the DSWD will “rebuild the social communities,” Leyco said, two days after Defense Secretary Delfin Lorenzana announced the termination of all combat operations here on Day 154 of the siege. “They’re looking at Ground Zero in terms of physical area. 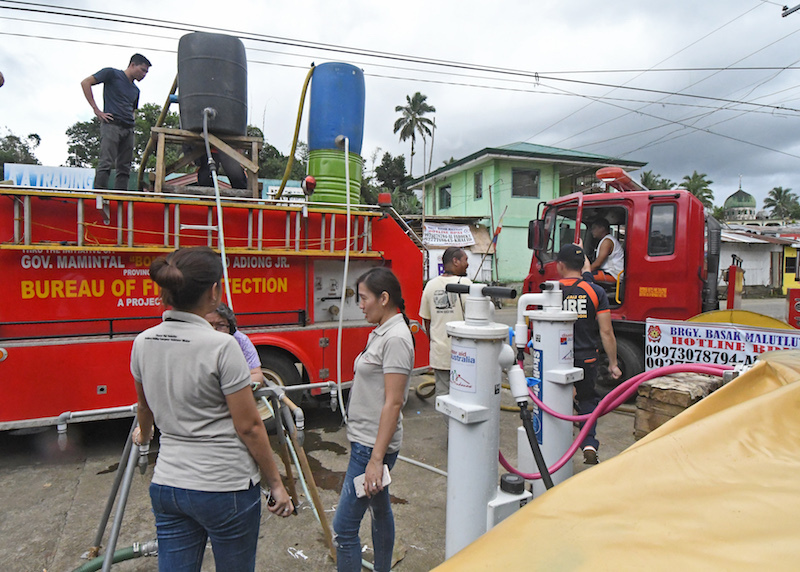 We’re talking of Ground Zero in terms of the hearts and minds of the evacuees,” Leyco said. “Titingan po namin ano ang pangangailangan ngayon ng mga mamamayan na nakaranas ng digmaan. Ano ba ang nawala sa kanila? Nawalan ba sila ng tiwala? Nawalan ba sila ng tiwala sa kanilang kapwa? Nawalan ba sila ng tiwala sa sarili? Nawalan ba sila ng tiwala sa pamahalaan? Yun po gustong ibalik natin sa kanila. Tutulungan po natin sila” (We will look at what the residents displaced by war need. What did they lose? Did they lose trust? Did they lose trust in their fellowmen? In themselves? In government? That’s what we want to return to them. We will help them), he said. He repeatedly assured that the needs of returning residents, those still in evacuation centers, and those who sought refuge in relatives’ houses, will be attended to. Leyco said they will link up with the Department of Health on providing psychosocial support to the returning residents. Bringing the Marawi residents home after five months is not easy. Not all of Marawi’s 40,000 families still have homes to return to. And those whose houses are still standing, like 65-year old Norain Cabugatan’s, have to be prepared for the worst: their lifetime savings gone. 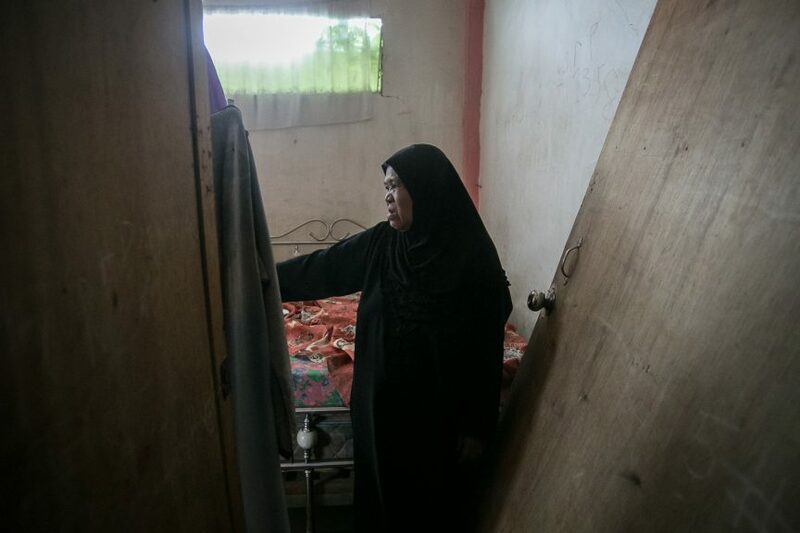 Cabugatan broke down upon seeing the padlock of the main door of her house in East Basak destroyed when she made a quick visit on October 26, her sala and bedrooms in disarray, her jewelries and cash among the items missing.